We begin – and continually foster – our customer partnerships by knowing what questions to ask and really listening to the answers. 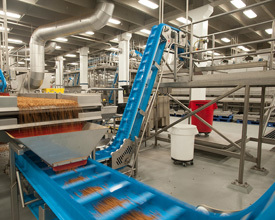 We know the premium return almonds bring to chocolate, to ice cream and to your products. 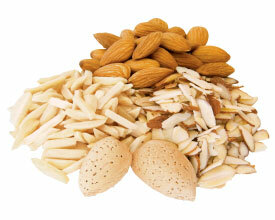 We can advise on how to achieve more bowl coverage from sliced almonds in cereal without raising costs. We understand customers’ global operations and offer solutions on a worldwide scale. That kind of focus comes standard with Blue Diamond. With information in hand, we apply sophisticated technology and deep expertise to find the perfect solutions for your applications. Our robust network of resources is unparalleled in the industry and delivers the products, expertise, and service you would expect from a top-tier ingredient supplier. At every turn, our knowledge, innovative processes and collaborative approach help you deliver more profitable products to market. Year after year, our quality-control leadership, strategic focus, deep market knowledge and superior customer support have been recognized, as we set the industry standard. Worldwide, Blue Diamond continuously achieves leading market positions while providing the broadest, largest and most accessible source of almonds, meeting exacting specifications and delivering the highest level of food safety assurance.